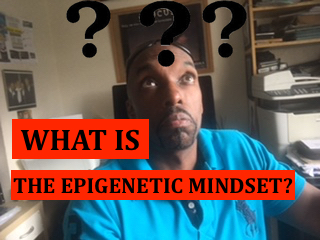 What is the epigenetic mindset and how does it affect somebody in network marketing? I came up with the phrase “The Epigenetic Mindset” after looking at the actual science itself. Epigenetic's means “just above the gene” and what the science shows is that you can actually turn HEALTHY GENES ON and UNHEALTHY GENES OFF. This is done by having the proper nutrition, the proper environment and the number of other external factors. then you can be placing negative epigenetic tags on your DNA, which can result in negative gene expression. So how does this relate to success in Network Marketing? Well in order to have TRUE SUCCESS in this industry you have to possess the right mindset. A negative mindset it will impact everything that you do. If you are around negative people and listening to negative things, then it is like putting the wrong mental epigenetic tags on your success DNA! You are literally turning off your success genes by being in the wrong environment and listening to the wrong people, taking on board the wrong advice. So many people start their Network Marketing business and allow other people to talk them out of it again. Instead of focusing on their goals they focus on the opinions of others, this produces negative mental epigenetic tags. 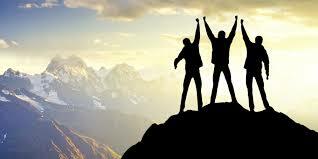 Before you know it, that person is deficient in success. However, it doesn't have to stay that way……. Just by surrounding yourself with new people and having a fresh focus, you can create the epigenetic mindset needed, and turn those healthy success genes back on again. It is important to find a supportive community to be in and sometimes that community can be outside of your primary Network Marketing business. Mastermind generic strategies that work irrespective of what company you are in. People who would be supportive. but they were also willing to share their knowledge so that I too could join them in those ranks. Being around that type of community creates the right mental epigenetic tags needed in order to have the epigenetic mindset for success. Once the epigenetic mindset is in place correctly, no external factors will be able to lead you astray. If YOU KNOW being around a community like this would CAUSE YOU TO BE SUCCESSFUL and stop struggling to build YOUR business, then let me introduce you to this community. you will be able to PASS DOWN the MENTAL SUCCESS EPIGENETIC”S to your downline and create an army of people with the epigenetic mindset of millionaires! 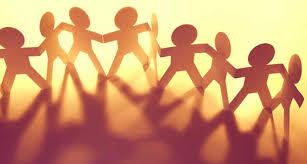 So CLICK HERE and come meet the community. PS. If you want to see how a waiter was able to fire his boss just by getting connected with this community then watch this video of him actually doing it CLICK HERE! Hi Jason. Great Vlog and Blog post. Whilst I had never come across the phrase “Epigenetic mindset” previously, I have come across the concept of what I term mind nutrition. It is definitely important what we expose our minds to as well as whom we surround ourselves with so your article is on point. Hi Jason. You’ve got a great post here but it needs more expression. Every line must carry a message that shouldn’t be repeated over and over. Make me understand the epignetic theory by disentegrating it into simpler fragments and also giving some of the very important fragments a sub heading. I read it with the mindset of a newbie and I got confused after reading…so I had to go through it three times before I got the point. Most anxious persons won’t do so. I’ve never thought about Epigenetic mindset but I agree, when you have the Epigenetic mindse it’s easy to spot things and to me that’s a winner. Great thoughts Jason!Thanks.